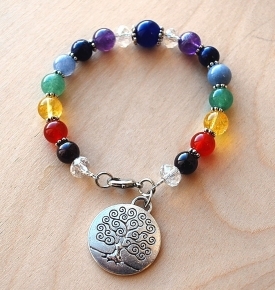 Love, Balance, Healing, what qualities could you imagine drawing to yourself? 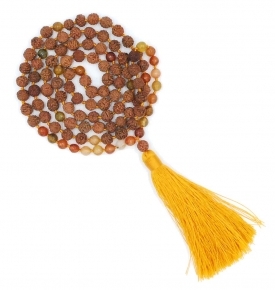 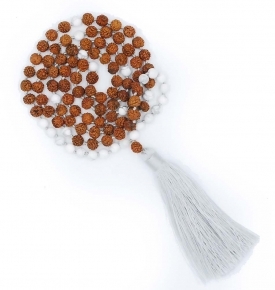 Intention Malas are used as a tool to repeat a daily affirmation, and the phrase should be in your own language. 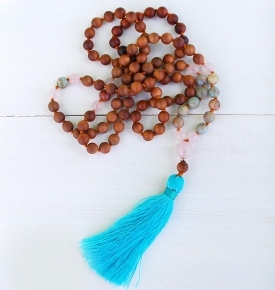 Use repeated, daily affirmations as “modern mantras” to bring out our best selves. 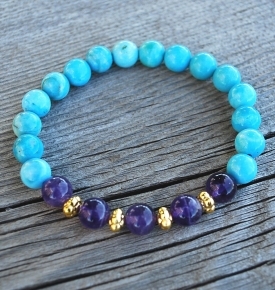 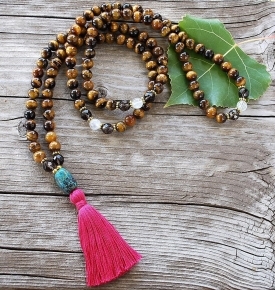 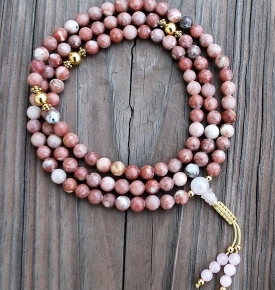 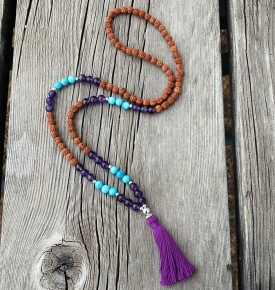 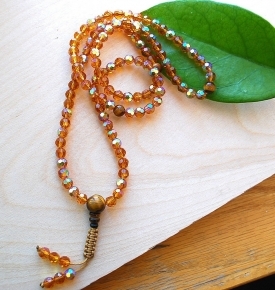 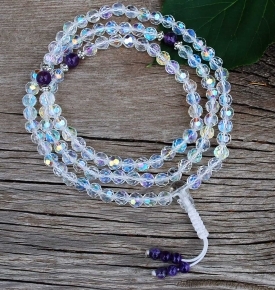 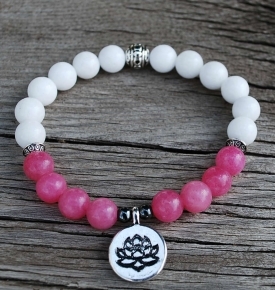 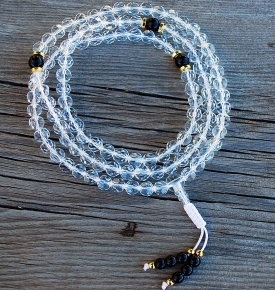 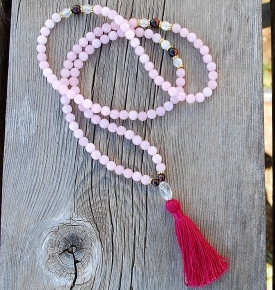 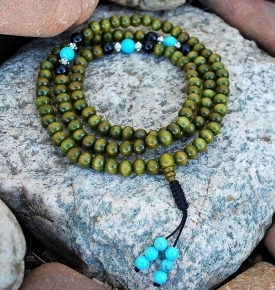 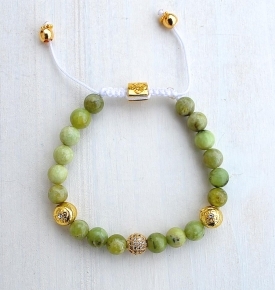 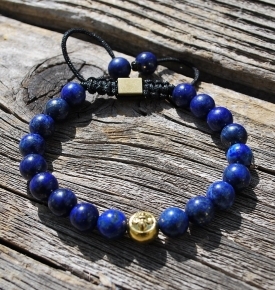 Our mala bead artists have created these powerful and well designed gemstone healing beads used as a protective talisman. 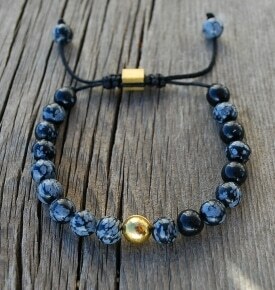 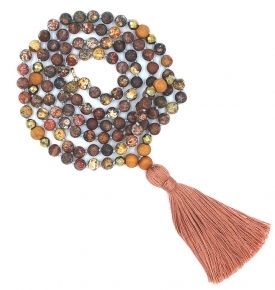 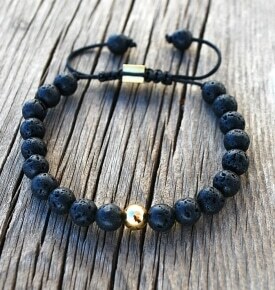 Choose your personal set of prayer beads for mantra or to wear to create just the right personal balance. 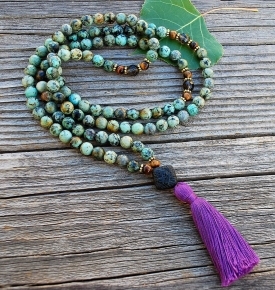 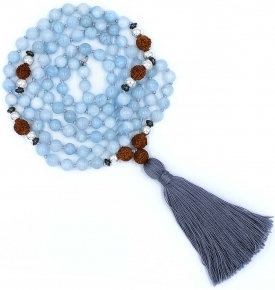 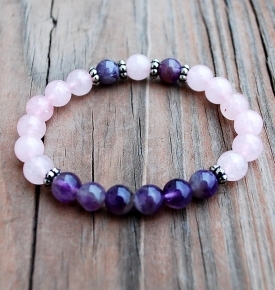 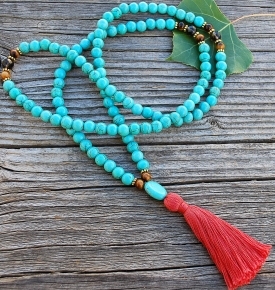 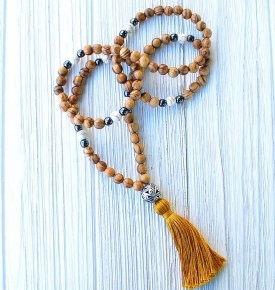 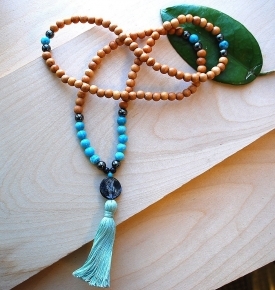 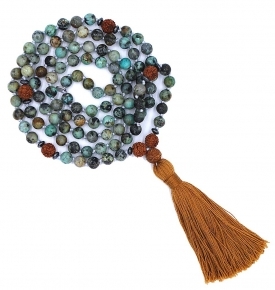 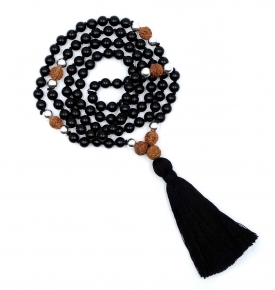 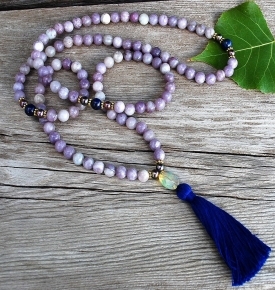 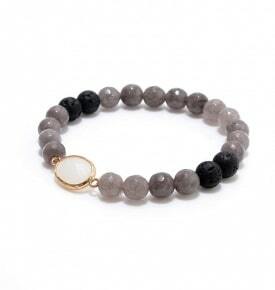 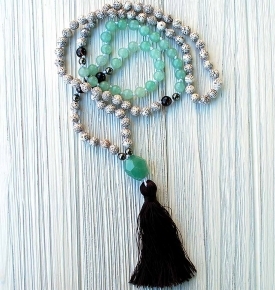 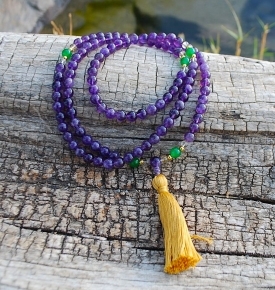 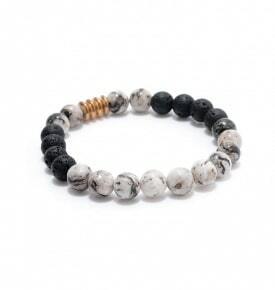 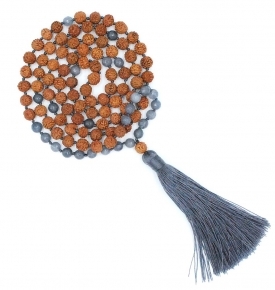 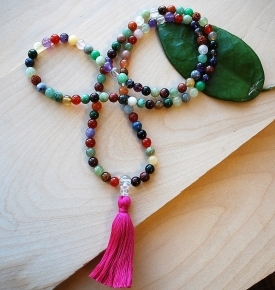 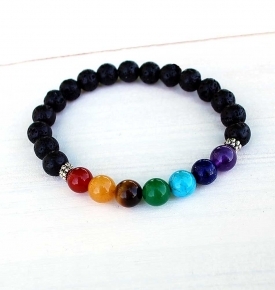 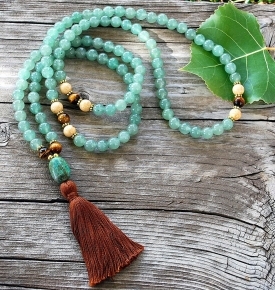 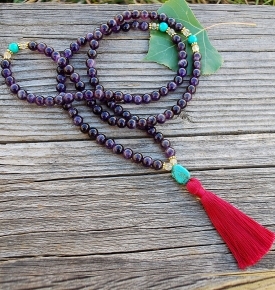 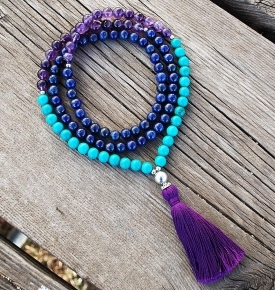 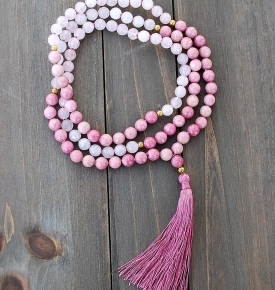 There are lots of healing gemstone traditions surrounding the usage of prayer beads. 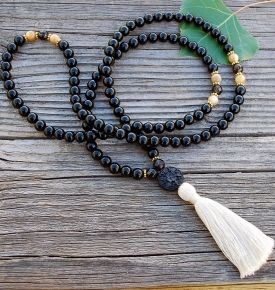 The kind of natural materials the amount of beads, the way they are used, and what religion they may be from all hold power and meaning. 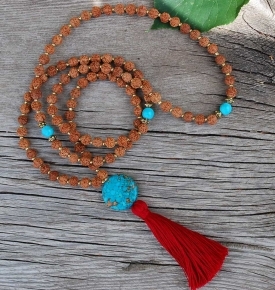 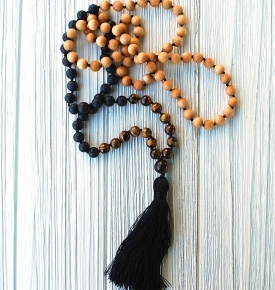 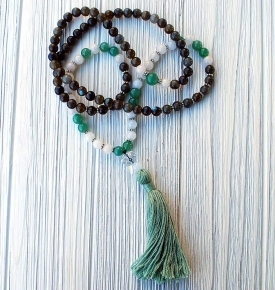 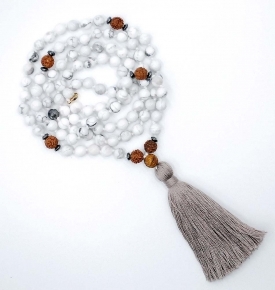 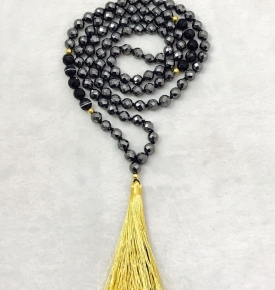 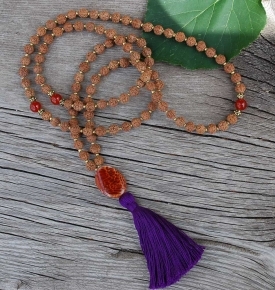 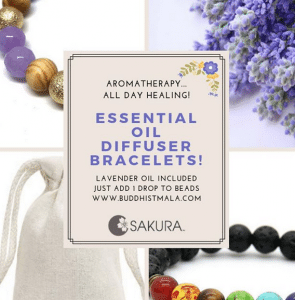 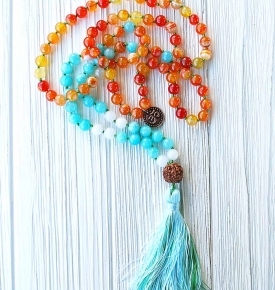 We have seen references suggest that Buddhism or Hinduism were the first one to use beads, by repeating a word, mantra and intention, as a way to calm and stabilize the mind meditation and evoke devotion and compassion, and bring about personal growth and change. 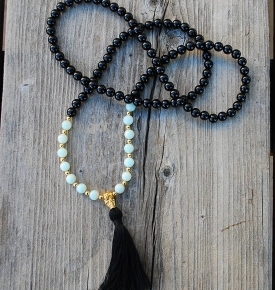 Eastern traditions, now fully integrated into our lives, and we are grateful to have these ancient east meets west treasures. 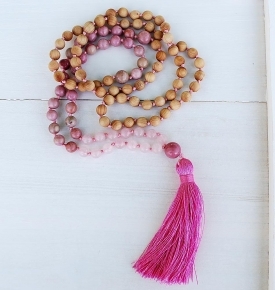 The significance of mantra practices are for health, insight and inner healing, and malas are a great tool to help us shine.